Since 2014, Maciej Dyjas is a Co-owner and Managing Partner of Griffin Real Estate – the largest and most active investment management company in private equity real estate in Central & Eastern Europe, which currently manages assets of over EUR 5 billion. He also is a shareholder and holds a position of Managing Partner of Cornerstone Partners – a private equity investment firm, active in CEE region, with an impressive track-record of transactions in healthcare and pharmaceutical sectors, retail and consumer goods market, industrial and manufacturing and infrastructure. Maciej also holds a position of Supervisory Board Member in several companies: Echo Investment, EPP, Smyk Group, ProService Finteco and IT Kontrakt. Before joining Griffin Real Estate and Cornerstone Partners, he was a Managing Partner and CEO of Eastbridge Group – a family holding company based in Luxembourg, which has been investing in multiple markets (CEE, Benelux, US) and diverse industries such as real estate, consumer products, media, retail, education, insurance and biotechnology. Between 1994 – 2014 Maciej held various top-managerial positions in companies belonging to Eastbridge Group: Acting CEO of DTH Capital, New York, Director at Immobel Belgium, CEO of EM&F Holding, Director of Centrum Development & Investments, CEO of Domy Towarowe Centrum, CEO of Empik. At earlier stage of his career he held several positions in consulting in IT, manufacturing and supply chain, in Europe and US. He holds degrees in Mathematics, IT and Management from University of Warsaw / Poland and University of Stuttgart / Germany. 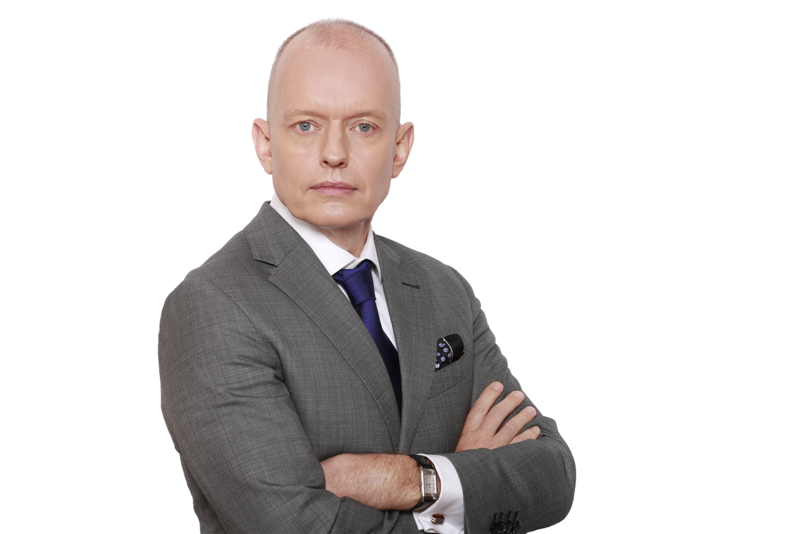 Since 2014 Maciej Dyjas is a member of the Board of Directors of Jan Karski Educational Foundation, while since 2011 he is a member of the Polish Business Roundtable (Polska Rada Biznesu). Between 1999 and 2009 he was an active member of „Poland for Europe” program and a non-profit organization which aimed to support Poland’s membership in the European Union, through promotion of Polish art and culture in Europe. Born in the family with Polish-Silesian-South African roots. Polish-German national. Married, 3 children. Griffin Real Estate is the largest and most active investment manager in private equity real estate in CEE, privately owned by Maciej Dyjas and Nebil Senman, the managing partners and owners of Griffin Real Estate and its related entities. Griffin originates and manages private equity-type investments into real estate-related companies and assets. Griffin invests on behalf of both its owners and its renowned international investors / strategic partners – several global management funds such as Oaktree Capital Management, Pacific Investment Management Company (PIMCO), and Redefine Properties from South Africa. Griffin’s partners are also acting as cooperating partners for Globalworth, with respect to their Polish Office investments. Griffin has been the most active and innovative investor in the region, introducing to the market several new concepts and formats. Within the last decade, Griffin has been the most active investor in the Polish real estate market, with over 30 successfully executed transactions, including creation of the first REIT on the Polish market. Echo Investment – the biggest Polish developer in the commercial real estate sector and the fifth one in the residential sector, listed on the Warsaw Stock Exchange, which has completed almost 149 projects with a total area of approximately 1,400,000 sqm. EPP (former Echo Polska Properties) – the largest REIT-type company listed on stock exchanges in Johannesburg and Luxembourg, focused on Poland-based retail and office properties with a total GLA of 835,000 sqm. Currently the company is the largest owner of shopping centers in Poland. EPP’s portfolio includes 18 retail projects, 6 offices, of a total value of EUR 2 billion. Globalworth Polska (former Griffin Premium RE..) – the first and the largest REIT-type company listed on the WSE with internal local value-added management platform, with the biggest portfolio of 16 pure office and unique mixed-use high-street properties. Student Depot – Poland’s first and the leading network of privately-owned student housing. The company is both developer and operator, currently having over 1,600 beds in operations and will provide over 3,000 beds by 2020. 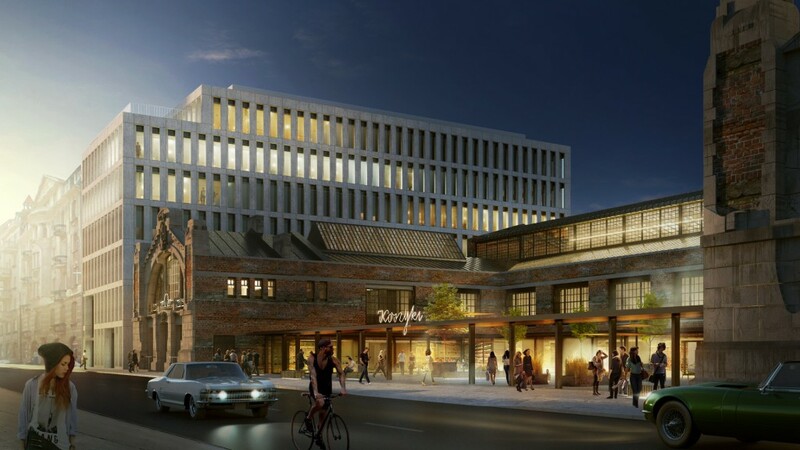 Resi4Rent – the largest housing for rent platform in Poland with over 2,500 units in construction coming on market within the next 18-24 months and targeting over 5,000 units by 2020. Griffin Property Finance – the largest non-banking, real estate-related lending platform in Poland. Through Direct Real Estate Holding, Griffin Real Estate is also a direct owner and a manager of several office and residential projects. Chariot Top Group B.V. – a consortium of three independent funds which acquired a portfolio of 28 real estate assets consisting of 9 M1 shopping centers, 12 hypermarkets, 4 power parks and 3 stand-alone DIY stores, with a total GLA of about 702,000 sqm. European Logistic Investment (ELI) – a portfolio of industrial properties consisting of 9 assets with total GLA of over 300,000 sqm and ca. 2 million sqm in the pipline, based on strategic alliance with leading logistic developer Panattoni. Cornerstone Partners is an investment management company, active in non-real estate private equity market in Poland since 2001. Combined track record of Cornerstone’s partners is proved by more than 60 company exits with an average IRR of above 35 percent. Cornerstone invests in private equity transactions in Poland and CEE, with a focus on backing strong management teams to grow and transform their businesses. The prominent investments of Cornerstone’s managing partners include several investments in healthcare and pharmaceutical sectors (such as Lux Med, the leading outpatient clinics network in Poland that was eventually acquired by BUPA / UK), investments in retail and consumer goods (such as leading Polish brands EMPIK and SMYK and joint-ventures with Zara, Sephora, Chanel and Dior), industrial and manufacturing and infrastructure (such as Kęty, Relax Wind, Budimex, DTH Capital / New York, Immobel, Domy Towarowe Centrum and many others). 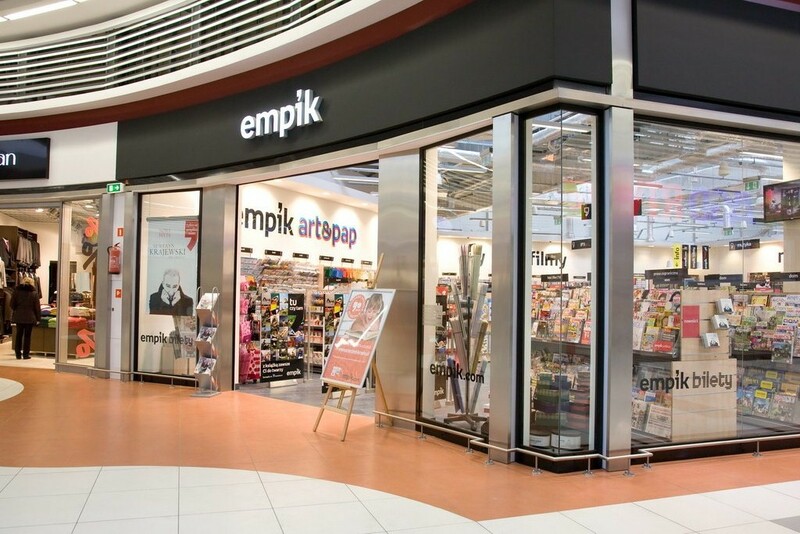 In January 2016, together with Bridgepoint, Cornerstone acquired from Eastbridge and Penta Investments, the Smyk Group – the leading retail network of stores with toys, clothes and accessories for children in Poland and operating in Germany, Ukraine, Russia and Romania. The transaction value was EUR 250 million. Cornerstone Partners is a partner of Oaktree’s European Principal Group, in sourcing, executing and supporting equity transactions in Poland and other CEE countries. In February 2016, the partnership made an acquisition of ProService Finteco (former ProService Agent Transferowy), the leading fund administration services provider in Poland, with PLN 62 billion in assets under administration, in order to build European fintech offering middle office and IT services for TFI, banks and insurance companies. In order to achieve this goal, in 2016 and-2017 Cornerstone had made several add-on acquisitions of smaller companies, among others: Aspartus (which provides insurance companies with software for handling property, life and communication products), Bonair (an IT company specializing in asset management solutions), IFAS (specializing in valuation of funds). In 2018, ProService Finteco acquired two more companies – Makeitright and Turbine Analytics (which operate on the market of process automation tools for banks, insurance companies and SSC/BPO centers). Moreover, in June 2017, Cornerstone Partners enlarged its portfolio through acquisition of IT Kontrakt, the company providing high-quality services in outsourcing of IT professionals and innovative IT solutions that are comprehensively supporting business processes. In October 2018, IT Kontrakt acquired 51% stake in SolidBrain, and the remaining shares will be acquired in 2019. SolidBrain is a leader on the market of IT outsourcing services in Poland, offering both outsourcing IT specialists and services of project management, development and software testing. The Eastbridge Group is a family holding company based in Luxembourg, created in 1990, by its founder, Yaron ‘Ronny’ Bruckner. 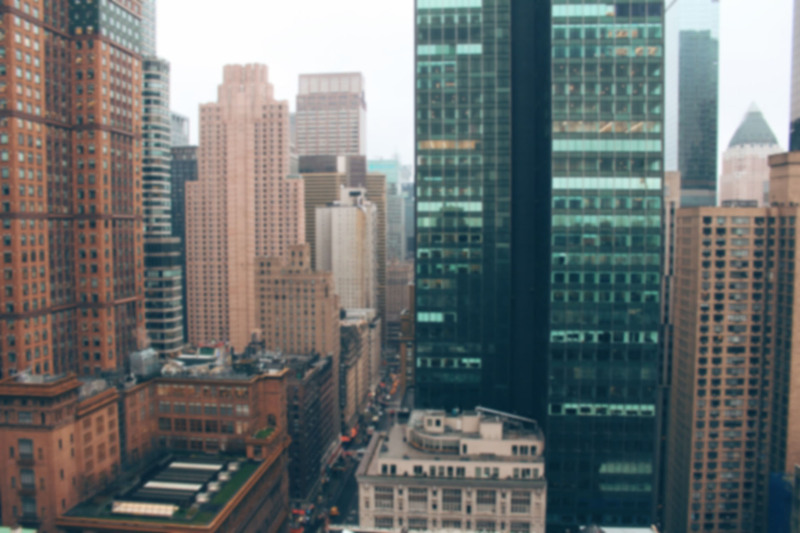 Throughout its history Eastbridge has invested in multiple markets and diverse industries such as real estate, consumer products, media, retail, education, insurance and biotechnology. Eastbridge, although being a family-controlled business, has had over the course of its history several renowned financial investors. The genesis of Eastbridge was the change of the political and economic systems in the Central & Eastern Europe region. Thereafter, in early 90’s Eastbridge formed several distribution joint ventures with leading global companies including L’Oreal, Eastman Kodak, Nestle, Canal+, Inditex/Zara, LVMH , PPR (now the Kering Group) and many others. Out of this activity, in mid-90’s Eastbridge has developed a strong Private Equity practice, which focused mainly on food & beverage, healthcare, retail and consumer goods business in Central Eastern Europe. Eastbridge has invested in and developed several leading consumer brands as well as introduced to CEE markets many international brands. Part of the portfolio has been listed on the Warsaw Stock Exchange in 2004, as one of the largest Polish consumer goods conglomerates. This activity has been continued until early 2016. Eastbridge had more than 30 corporate exits within the sector, with over 30% IRR achieved. In 1998 Eastbridge has been the investor behind privatization of Domy Towarowe Centrum, one of largest retail and real estate conglomerates in Poland at the time. 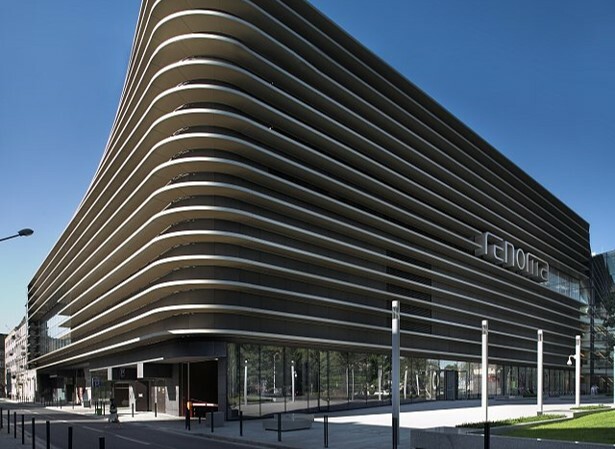 Out of this Eastbridge has developed strong real estate practice in Poland, with its Centrum Development and Investments subsidiary, being one of the most active high street retail investors in the country. In 2003 Eastbridge started its investments in New York City, US. 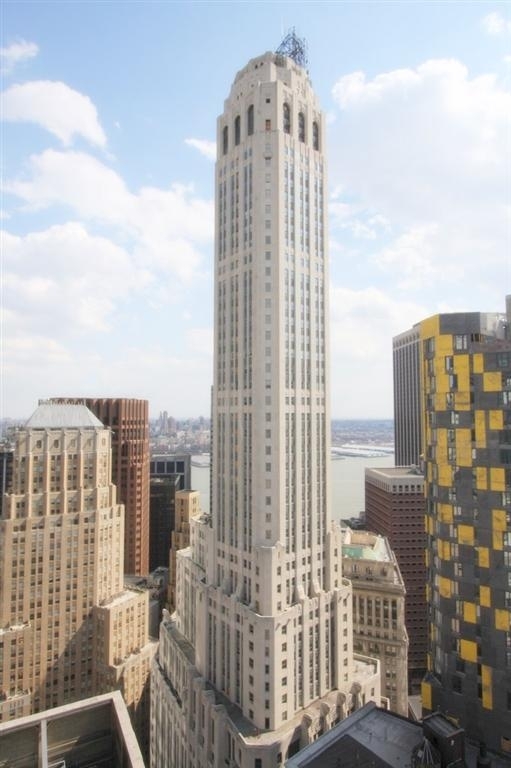 Eastbridge has been purchasing several iconic buildings in lower Manhattan, transforming the old historic buildings from offices into multifamily rental residential use. 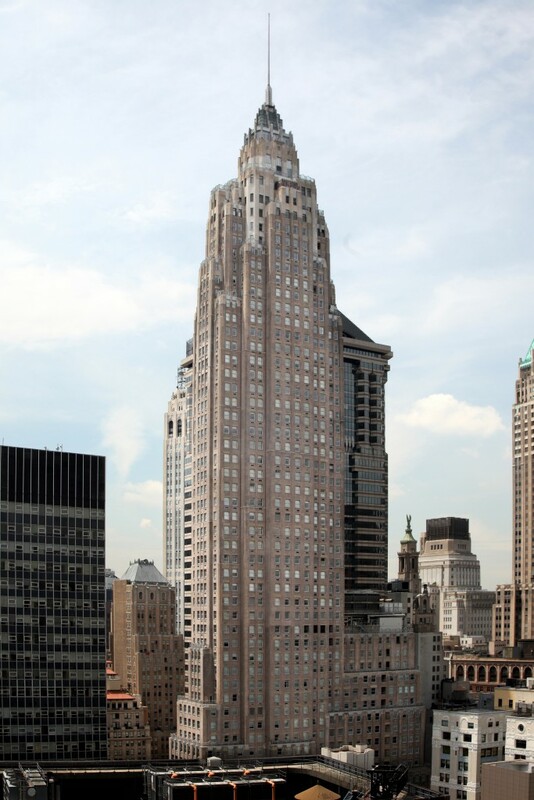 Eastbridge owns currently several trophy assets, such as 63 Wall Street, 67 Wall Street, 20 Exchange Place, 70 Pine Street (former AIG headquarters) in New York. Its New York subsidiary, DTH Capital, has been one of the most active investors in the market over last years. In 2007 Eastbridge started investing in real estate outside of Poland, among other in the Benelux. In 2010 Eastbridge acquired Immobel, a leading Benelux developer , listed on EURONEXT in Brussels. After expanding the company’s activities into new market – Poland, Eastbridge exited from Immobel investment at the end 2015.